Jonah Moos / Jivanmukti (RYT 200) was drawn to yoga asana as a gateway to meditation. Through effort you find relaxation, through movement you find stillness, through challenge you find peace. This balance of opposing forces forms the core of his philosophy on yoga and teaching practices. Vigorous vinyasa movement and breath is harmonized with deep relaxation, letting go and self-awareness. His classes provide a flow and rhythm that help concentrate the mind, purify the body, and allow unhindered energy to flow through the centers. Jonah was first taught meditation and asana at the California-based Tipheret Society in 1994 with Bennett Kessler and Kenny Scruggs. 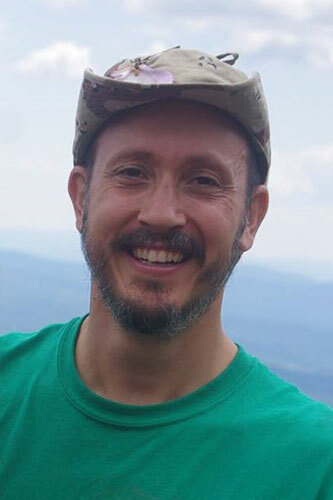 He has received instruction from a wide variety of teachers, including Kamalesh Patil (Dada), David Life, Sharon Gannon, David Lurey, and Mirjam Wagner, and in 2016 he completed the YTT program at Bhava Yoga in Brattleboro, Vermont.